Going into this weekend, we still are waiting for news from the hostage situation in Algeria, and my thoughts go to the families and friends of the unknown numerous hostages. I’m hoping that this situation still can be solved with diplomacy and that the right measures are taken, so that they all can return safely home. I read a comment in the Guardian were the author expressed his wish of being in a position he actually could take action and help someone in this terrible situation, and I agree with him. 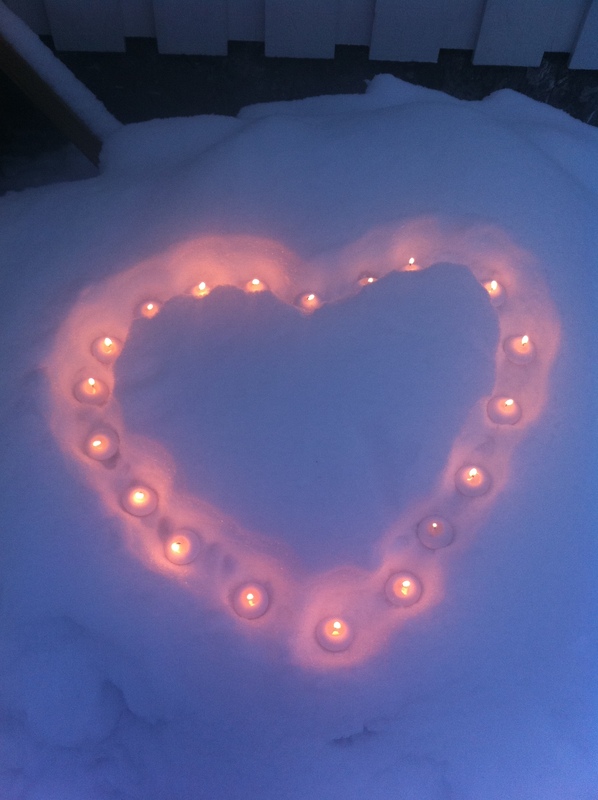 In lack of position and influence, I went out in the snow and made a heart of candle lights. I did this for the hope of safe return for the hostages. And for the memory of our loved ones, that never will return. You will always be missed.